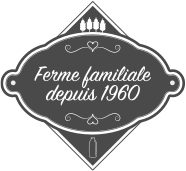 François Chedru, a rural vet, took up this family farm again in 2007. 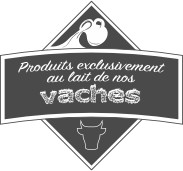 His mission has been to bring a new dynamism to the Ferme des Peupliers while preserving artisanal production methods. His leitmotifs are quality, taste and excellence. To ensure that this idea is maintained, his sons, Antoine & Edouard, are preparing to take up the torch. The secret of these products lies in complete control of the production cycle, from the production of fodder, to feeding the cows, right up to the manufacturing of the yogurt. 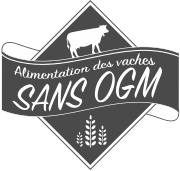 The use of simple and artisanal methods together with a specific composition of the milk confer on the yogurts of the Ferme des Peupliers a creaminess and flavour typical of old-fashioned products. Most of the fodder that is used to feed our cows is grown on our own farmland. The Ferme des Peupliers is home to a herd of 180 dairy cows. What's more, the cows and calves are reared with plenty of love and care. The cows eat local and without GMOs. Surrounding the farm, the farmland, pastures and grass meadows enable us to produce our own fodder, ensuring healthy and local feed for the cows. They are comfortably accommodated and can lie down on a carpet of straw, under which a soft rubber mattress has been placed for their comfort. Whenever the Normandy weather allows, the cows can wander the fields around their barn.